ARE YOU CREATING YOUR BEST LIFE(and business)? Strategizing. Do you work hard? Does your job have you so busy that you don’t seem to have time to sit back, kick your feet up, and take a 30,000 foot view? You are not alone, but your company could be suffering. Here are 5 tips to get you on the right track. Stop. If you can often be found putting out fires, being needed by many, and are overly busy, this will be your biggest challenge. To reach your full potential, you must take time out from the noise. Reflect on successes and lessons learned. Assess the needs of your customers, staff, market and company. Block an hour on your calendar once/month. So many leaders have their nose to the grindstone, but are making great time going in the wrong direction. Come up for air so that you can work smarter, not harder. Connect. Create a community of colleagues who can relate to your challenges. Peer-to-peer mentoring created with a Mastermind Group allows members to lean on one another, bounce ideas around, and give advice to each other in a non-judgement network. At minimum, meet once/month. Where are you thriving? Where would you like to put more energy? Do this at least once/quarter. Set goals. Successful leaders dream big. What direction would you take your company or department if there were no limits? Start with the end in mind. Now, are there any steps you can take to move in that direction? Then create a road map to get there with checkpoints, deadlines, and pragmatic steps. Plan the work, and then work the plan. Instead of life just happening to you, steer the ship. Find a coach. The best athletes have a coach to help them reach their goals. The role of a coach is to listen, hold you accountable, to help you to stay on track, to give you feedback and strategies, and to dream bigger. Research shows that 70% of Fortune 500 executives get coaching. And why? Because a coach pushes you to utilize your strengths, shines light on your blind spots, and helps you to live your most fulfilled life. Score yourself: Do you do all 5 of these already? And what new commitments are you planning to make? Make this your best life. Julie Lancaster knows that being a leader takes guts. Before being the founder of Lancaster Consulting, Julie walked the talk. With decades of leadership in the U.S. and beyond, her experience guides her practice. Julie has served 100 direct reports, and has provided 900 performance evaluations. 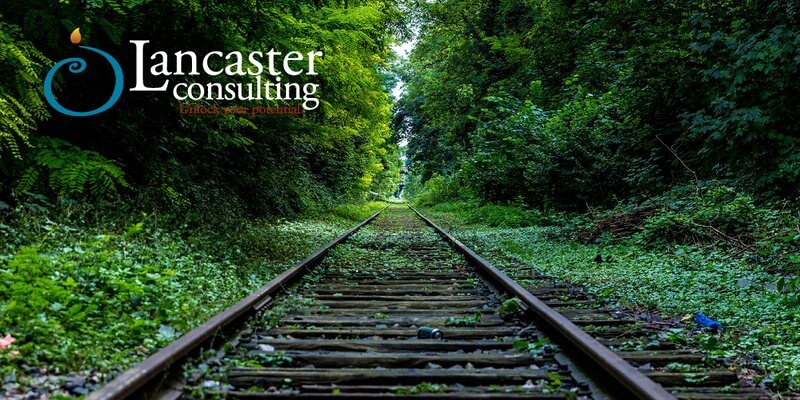 As the president of Lancaster Consulting, she now trains and coaches thousands of professionals each year. Together with her clients, she is results oriented, future-focused, and is a positive advocate for success. In the public, non-profit, and private sectors, Julie serves as a leadership coach, consultant and trainer. Her topics range from strategic planning to increasing accountability: any topics that influence workplace success. She provides: •	Leadership Development Academies •	Retreats and Workshop Series •	The “Coaching for Excellence” program. Julie commits to working with groups and individuals who are up for the adventure of leadership* and believe in creating real change. *Leadership is a mindset, not a position. Julie’s coaching clients range from aspiring leaders to CEOs. Although she works with 80 teams each year, she specializes in working with higher education institutions, local and federal government, health care, technical organizations, women leaders, values-driven teams and organizations in transition. Julie holds an M.A. in Education and is a certified as a group coach, Myers-Briggs practitioner, Change Style Indicator and Change Style Navigator facilitator. Julie has been awarded Adjunct Instructor of the Year and lives in Flagstaff, AZ. She travels around the country working with teams who aspire to flourish. Previous Post Is it time for new glasses? Next Post Punching Your Ticket. Are you seizing opportunities? Sign up today to receive monthly leadership article from folks who’ve been there! And receive a download link for our Organizational Health Check Quiz!